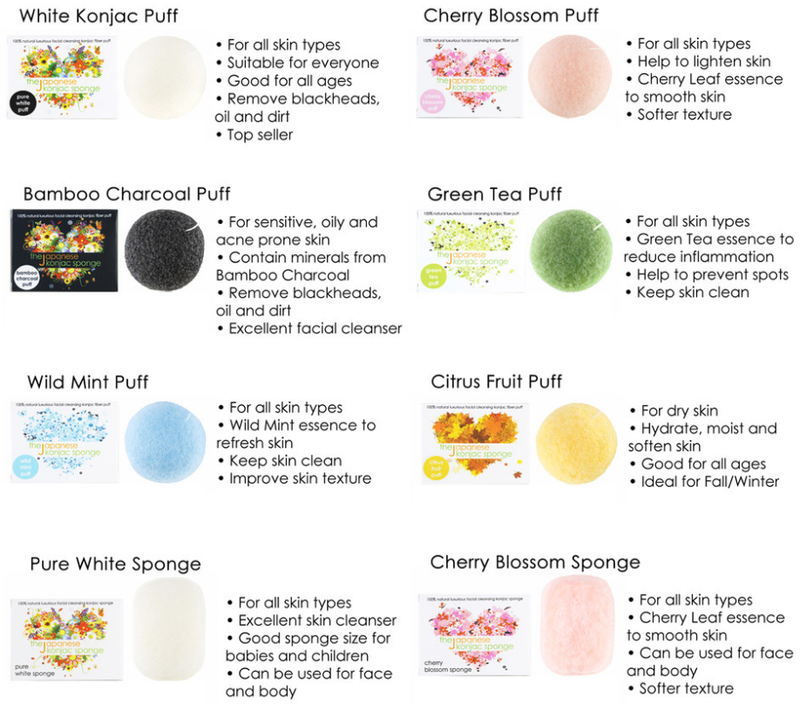 MISH LOVIN' LIFE: Japanese Konjac Sponge Giveaway x3! Happy Friday, ya'll! Today I have a special treat for you that I'm actually quite excited about! A few weeks ago, I was sent a few Japanese Konjac Sponges to try out. They are 100% natural exfoliator sponges for your face and body made from the vegetable fiber "Konjac" grown in Japan. And depending on your skin type, you can choose a different sponge for your "skin concerns." Lately, it's been really dry out and my face has definitely been feeling it. So I've been using the Citrus Fruit Puff because it concentrates on hydrating and softening dry skin. Every time I use it, I honestly feel like my skin just got 10x softer. I also have one hanging in my shower that I use when I want a good all over exfoliation. So there you have it! Now on to the exciting part. The Japanese Konjac Sponge company is sending THREE of you lovely readers your very own to try! I love these sponges! I threw away the one I had last week, so it would be perfect to win a new one! Especially since I can't seem to find these in Spain... I'd have to try Citrus Fruit! I think I'd want to try the citrus fruit or cherry blossom! These look awesome! I totally want to try the green tea one! I'd love to try the green tea or the cherry blossom puff! I'd like to try the cherry blossom puff!! these sound like a great product!! These sound great! I'd love the charcoal one! I'd love to try the black charcoal one for the blackhead removing and acne prone skin properties! I've tried a green one. Do you happen to know if some companies just sell colored sponges or when they're colored black are they all charcoal? I was looking on ebay and some are black colored but don't say charcoal. That's why I'd love to try one from this company bcuz it's actually the charcoal? I'd love the cherry blossom sponge! must try. i want the charcoal one! I would try the charcoal! I want to try the cherry blossom puff!! The green tea puff looks awesome! My focus immediately went to the Cherry Blossom Puff because it says it helps to lighten skin and I hate being so dark! haha. I want to try the Bamboo Charcoal sponge. Thanks! I'd like to try the White Konjac Puff. I'd love to try the bamboo charcoal sponge! I would love to try all of these! I've never heard of them before but I would mostly want to try the Bamboo Charcoal Puff. I would want to try the citrus fruit puff! Awesome giveaway! I'd like to try the charcoal puff! I've heard good things about this konjac süngerler product. Going on my wish list now!